Today I’m talking about tailbone pain. There are lots of people with tailbone pain. They come to doctors with stories like “ten years ago I fell down a flight of stairs and I’ve had pain ever since around my tailbone, in sitting or when going from sitting to standing or when lying on my back”. Or “when I was a kid I slipped off my roller skates or last winter I slipped on some ice and I landed on my bottom and it hasn’t felt quite the same since. After I sit for a long period of time I need to get up and move around because the tailbone feels stiff”. Or a patient may say ”I had a difficult delivery of my baby and I’ve had a lot of tailbone pain ever since. It feels like there’s a lot of pressure around the tailbone or almost feels like the tip of the tailbone is poking back as if it could come very close to or through the skin”. 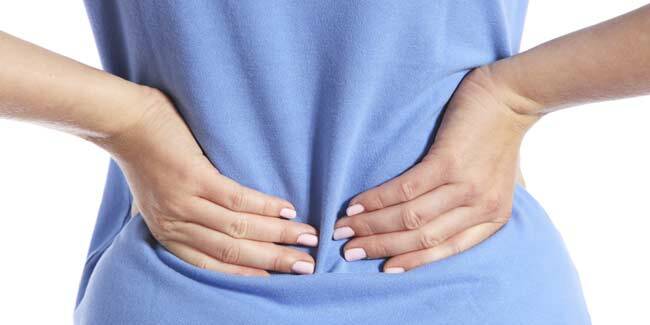 Patients with tailbone pain don’t always have a history of fracture. Sometimes they do but often what will happen is if someone injures their tailbone, they’ll go to their doctor and the doctor will take an x-ray and they’ll say your tailbone is fine, you’ve just had a hard fall and you have some bruising. Give it a few weeks and you should feel better. If that doesn’t happen and the patient returns to their doctor, the doctor may not have many more options for them. They may prescribe pain medication, which just masks the problem and basically the patient is left without a course of action and with pain. There are folks that have had tailbone pain for months or years and never really knew of any options for treatment. Sometimes it can be really limiting in terms of activity and ability to work and it can be really depressing. So I wanted to show you a few things about tailbone pain today in this article and if any of this resonates with you I encourage you to find a physical therapist in your area who can do direct treatment to the tailbone. Often they would describe themselves as a pelvic floor physical therapist. Here is a quick look at the anatomy just to give you some context. If you look at the pelvis from the back, you can see the two lowest bones of the lumbar spine. Below these is the sacrum and below it is the tailbone, also sometimes referred to as the coccyx. You might have heard your pain described as coccydynia, which just means coccyx pain, or tailbone pain. There are lost of the muscles that are attached to the tailbone. They are attached either directly or indirectly to the tailbone. So the tailbone just doesn’t sort of hang out at the end of your spine in free space. It has quite a few structures that attach directly to it. So if there’s an injury to the tailbone, like in a fall or the car accident, it’s not just a question of whether and not the tailbone itself is bruised or pushed out of its normal alignment, but there’s also the question of the muscles around it that can go into spasm, that can further pull the tailbone out of alignment. It can also create pain on their own. If you look at the sacrum and the tailbone from the side, you can see that the tailbone normally has a bit of a curve and sort of points forward towards the front of the body. There’s a joint between the tailbone and the sacrum and there’s usually a little movement in that joint and we need that because when we sit for example, the tailbone will sort of tuck underneath a little bit and then when we stand it’ll sort of extend back to its normal position. So sometimes in a fall, if you land on your tailbone, it can get pushed forward and stuck in flexion. It can get stuck forward but it can also get pushed back. Sometimes during childbirth, the tailbone can get pushed back into extension as the head of the baby comes through nearby. Of course, it’s not always that clean. So it wouldn’t just necessarily be in flexion or extension. It can be side bent or it can be rotated or it could be a combination of these. So not only can the tailbone be in the wrong position but the muscles that attach to the tailbone can go into spasm when the alignment of the tailbone is not where it should be and that can make the problem even worse. What can a physical therapist do about this? First you need to make sure that you’re working with the physical therapist who’s trained in assessing and treating the pelvic floor, which is the area of muscles and joints that we were just looking at. This therapist has the ability to get a hold of the tailbone and the muscles around it in such a way that we can loosen up any muscle spasm and correct the tailbone alignment. Not every physical therapist is trained in those techniques, which is why I’m stressing that you want to find a pelvic floor physical therapist. A physical therapist that’s trained in pelvic floor therapy can treat coccydynia quite a bit, He or she should also be trained in something called craniosacral therapy, which is a nice combination, because after the tailbone treatment is finished, the therapist should have the patient do a sit test and sit-to-stand tests to see if the pain is any better. The therapist will also usually do some craniosacral techniques to the pelvis and the spine which will help the body sort of integrate any changes that have happened and he or she may also sort of calm down any symptoms that might have been provoked by the treatment. So if you have tailbone pain, you have options! You can see a physical therapist or you can even go beyond the physical therapy and see some doctors that specialize in treating coccydynia, where for some more stubborn cases they can offer injections or other procedures. Don’t stop looking for help and make sure that your first step is using a donut pillow for tailbone pain and injury to prevent making things even worse. Using Sunglasses to repair vision for the ﬁrst time.